Beside You In Time (also known as Halo 22) is the live release chronicling the 2005/2006 Live: With Teeth arena tours. It primarily features high-definition footage from two dates, March 28, 2006, in Oklahoma City, OK and March 30, 2006, in El Paso, TX. There is also bonus footage from rehearsals and the Summer Amphitheater Tour. 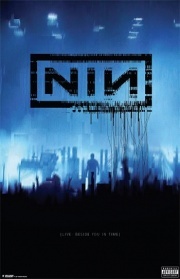 A promotional website for the release was set up at halo22.nin.com. * These songs have an alternate angle option, allowing one to view the accompanying film from a central vantage point. The summer footage is filmed in high-definition by Rob Sheridan on handheld camcorders. Footage of 2005 rehearsals was included. The audio for "Love Is Not Enough" was released on the Only single. This footage is similar to video for "The Hand That Feeds." Standard Definition music videos from the With Teeth era are also included. Beside You In Time was released on February 27, 2007 on DVD, Blu-Ray, and HD-DVD. The Blu-Ray and HD-DVD version have full 1080p high-definition playback for the main playlist. There was no CD release for Beside You In Time. 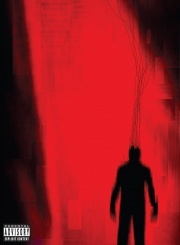 A poster given away at screenings for the film used an early version of the cover art, as was stated by Rob Sheridan in a post on The Spiral. Reznor opted for the final cover art because it was more striking and odd. Previous release - "Every Day Is Exactly The Same" Halo number: 22 Next release - "Survivalism"
This page was last modified on 7 June 2018, at 22:43. This page has been accessed 156,780 times.